BROOKE GLADSTONE: And I'm Brooke Gladstone. If campaign strategists see online fakery as a powerful weapon in the current realpolitik they're not alone. All manner of prevaricators percolate inside the Internet. MALE CORRESPONDENT: And a new warning from the DMV. The agency says that fake websites are charging customers bogus fees to complete a driver's license and ID card application online. MALE CORRESPONDENT: Three hundred million nonhuman views a day are being generated by this massive botnet. They say that's also involved in this falsified documents of 571,904 real IP addresses. BROOKE GLADSTONE: Max Read recently wrote an article for New York magazine outlining the dimensions and the perils of an Internet filled with fakery. He argues that, in addition to fake people, the metrics are fake, the businesses are fake, the content is fake–and increasingly, even the users are fake. BROOKE GLADSTONE: Now bots clicking on ads, who is that intended to fool? BROOKE GLADSTONE: The advertiser presumably. MAX READ: You know, it helps to understand a little bit how advertising works online. So unlike in the old days where you might have gone directly to a magazine or a newspaper, you'll go to what's called an ad exchange–Google has a huge one. And Google will essentially hold a lightning-fast auction across a huge number of websites that determines the appropriate price of the ad and where it's going to go. BROOKE GLADSTONE: In order to fake a click on an ad, what do you have to do? MAX READ: You know one way that people do this is they will send a bunch of scripts essentially that represent themselves as humans and they will fake click on the ads and then they'll go back to the advertisers and they'll say look we got 10,000 clicks. You owe us however much money that we're charging. But, an even more lucrative way to do it is to fake both the website and the user themselves. Advertisers are looking for premium content. They want to put their ads against respected publications like The Economist or like Vogue. So you create a site that looks like it's the Economist or Vogue and then you send all of your fake users there too. So essentially what you've done is you've created a kind of simulacrum of the Internet. You have a fake website. You have fake users visiting that fake website. They even do things like move a fake cursor because that's the kind of symbol to signal that they are real human beings. They'll even have fake social media accounts. BROOKE GLADSTONE: So metrics, you wrote, should be the most real thing on the Internet. They're countable, trackable, verifiable and their existence undergirds the advertising business that drives our biggest social and search platforms. But no. MAX READ: Well just this year a bunch of advertisers actually sued Facebook because it turns out that Facebook has been misreporting a bunch of its metrics. There's no way to say 'this is how many people are on, this is how many of those are real people and this is how many are bots, this is what they're doing and this is how it works.' And it's even harder because Facebook has all that stuff sort of locked away in its own proprietary software and servers. BROOKE GLADSTONE: So let's move on to the people. Haha. BROOKE GLADSTONE: Let's talk about Lil Miquela. MAX READ: Sure. Lil Miquela is a Instagram influencer. They're essentially celebrities who are famous for posting on Instagram and brands will pay a lot of money, in some cases, to have their products prominently displayed in these Instagram photos. Except that she is not a real person. She is a CGI creation. It's a real human body that models and then this CGI face is pasted on top of her and she is an enormous Instagram account who can make a fair amount of money selling sponsorship ads. BROOKE GLADSTONE: I think this is a good time to introduce listeners to a new bit of vocabulary. Some of them may know what the singularity is--. BROOKE GLADSTONE: Haha. That when the computers become self-aware or when we merge with the computers. But you talk about another term called the inversion. MAX READ: So the inversion was a name that YouTube engineers gave to an event in 2013. When the site was under attack from fraudulent bot traffic. YouTube, like most platforms, has pretty sophisticated fraud detection systems. But those systems work by identifying real and fake traffic in part based on the percentages on the site. This attack was so large that it was brushing up against about 50 percent of the traffic and the engineers were genuinely worried that their systems would start to regard real traffic as fake and fake traffic is real. MAX READ: They work with machine learning. So they take samples of behavior and they can say the majority of our users act like this and the minority act like this. And so this minority is likely robots. BROOKE GLADSTONE: When was the moment of the inversion? MAX READ: On YouTube itself, the inversion never quite happened. But for me the inversion, as a sort of metaphorical idea, I feel like I passed it this year. I am increasingly unable to tell the difference between the authentic and the inauthentic on the Internet. Sort of. Everything you look at and everything you come upon starts to feel shifty. It's a vertigo inducing experience. BROOKE GLADSTONE: You have also argued that the fakeness that we see today has also infected our politics–our politics are fake. Now it's acrimonious, it's vitriolic, but fake? MAX READ: Yeah, I think when we talk about sort of the ideal version of small 'd' democracy we think of it as a place where people come together to hash out disagreements in a rational and informed way. And what that requires is that everybody operate in good faith and that we believe that everybody operate in good faith. The problem with this sense of fakeness that begins to infect everything you see online, especially as the Internet becomes the kind of driving force behind the way we talk about politics and media coverage of it, is that we no longer are able to assume good faith on the part of her interlocutors. On the one hand, you have liberals accusing Trump supporters of being Russian bots–of, quite literally, not being real people. And on the other hand you have conservatives accusing liberals of so-called 'virtue signalling,' which is this idea that they don't actually believe the things they're saying, they're just trying to win some kind of social competition to be the most virtuous person. BROOKE GLADSTONE: And would you agree that some of this feeling of inauthenticity comes from advances in our technology? I mean the photoshop-afication of the culture. And then you have this other technology, Deepfake? MAX READ: Sure. I mean, I think if you look on YouTube, which is a kind of haven for far right radicalization, you'll notice that the terms in which people talk often involve this sense that there is a big lie. That these YouTube vloggers are going to teach you the truth behind. They call it red pilling from The Matrix which is quite literally what we're talking about here. That there is a fake world. And if you take the red pill you'll learn that feminism is a lie, that diversity is a scam. All these things are fake. And to me this is just a reflection of the experience of being online. That you are constantly confronted with these worlds and ideas, these voices, these publications, that you're not quite sure if they're real or if they're fake. And it can be incredibly corrosive to any sense of solidarity with other people. BROOKE GLADSTONE: So the people are fake, the politics are fake and you conclude that, we ourselves are fake. MAX READ: As we spend all of our time on Facebook, on YouTube, on Google, on Twitter we're spending a lot of time consuming and engaging with content that has been algorithmically pushed towards us–based on things that we are clicking on or spending a lot of time looking at. And I think there's an argument that that is in fact what we want. And you could say, 'yeah because you spend a lot of time hate-reading your rival's posts on Facebook' that maybe that is in fact what you want to do. But I think most of us have a much more sophisticated sense of what our desires are and what our humanity is. BROOKE GLADSTONE: You mean a more sophisticated belief in what our desires are? Because the algorithms are based on our behavior. MAX READ: --or ruins your day. And that these companies are manipulating and taking advantage of how difficult it is to turn off the lizard brain. How difficult it is to remove that from ourselves. BROOKE GLADSTONE: Now I know, I really don't want to know what that actor looked like as a child. I don't want to know, I know don't want to know. MAX READ: Exactly. And so at some point you realize maybe the person I am is not the person who is always clicking on what so-and-so looked like as a child. You've been sort of constructed into this fake algorithmic human being, scrolling through garbage that gives you some endorphin push. 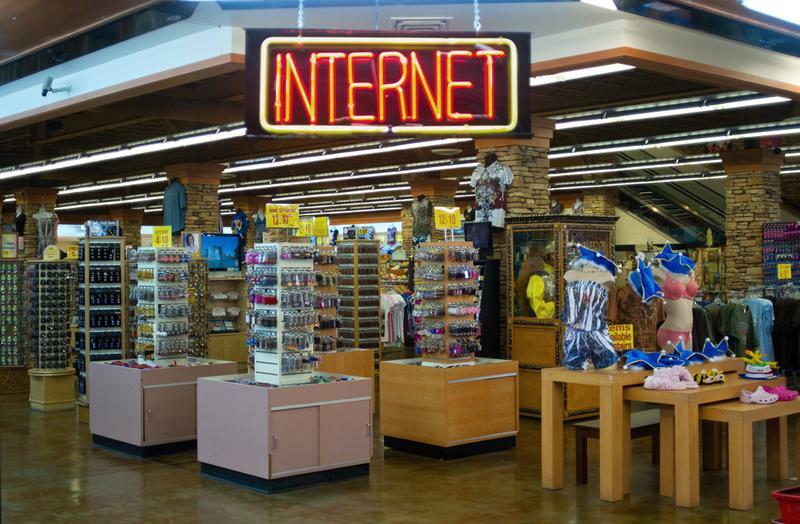 BROOKE GLADSTONE: What's gone from the internet you wrote isn't truth, but trust. MAX READ: Part of this isn't just about transparency and accountability of these big companies. It's also about a culture that prizes madcap growth at all costs. That kind of cultural change is going to be about giving back some regulatory power to the government and people in Silicon Valley and around the world not rewarding that kind of behavior anymore. Not allowing it to enter our lives in this kind of way. BROOKE GLADSTONE: What would motivate them to do that? MAX READ: Haha. Well I don't think anybody enjoys the Internet right now. Haha. BROOKE GLADSTONE: Haha, that's a good point. Max, thank you very much. MAX READ: Thank you for having me. BOB GARFIELD: That's it for this week's show. 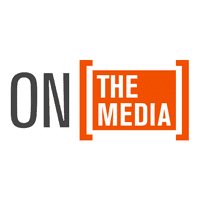 On The Media is produced by Alana Casanova-Burgess, Micah Lowering, Leah Feder, Jon Hanrahan and Asthaa Chaturvedi. And our show was edited by Brooke. Our technical director is Jennifer Munson.. Our engineers this week were Sam Bair and Josh Han. BROOKE GLADSTONE: Katya Rogers is our executive producer. On the Media is a production of WNYC studios. I'm Brooke Gladstone.